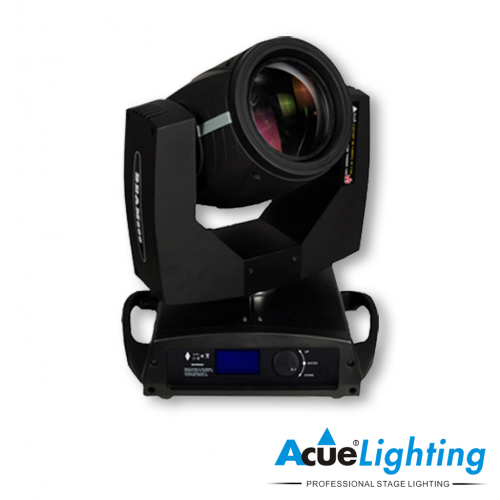 The Acue Lighting 17R Spot Hybrid moving head is our flagship moving light. 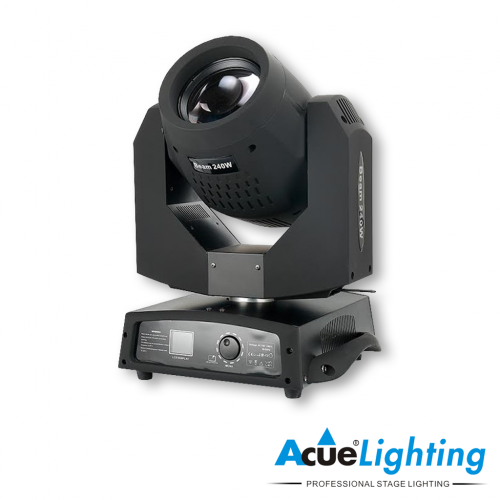 This fixture features a 350w 17R lamp as its light source (1500 hrs), CMY Color mixing, 7 colors/white, 2 gobo wheels (1x static & 1x rotating), 3 facet prism, linear zoom, mechanical linear dimmer, mechanical focus control, mechanical linear frost filter control and mechanical shutter control. 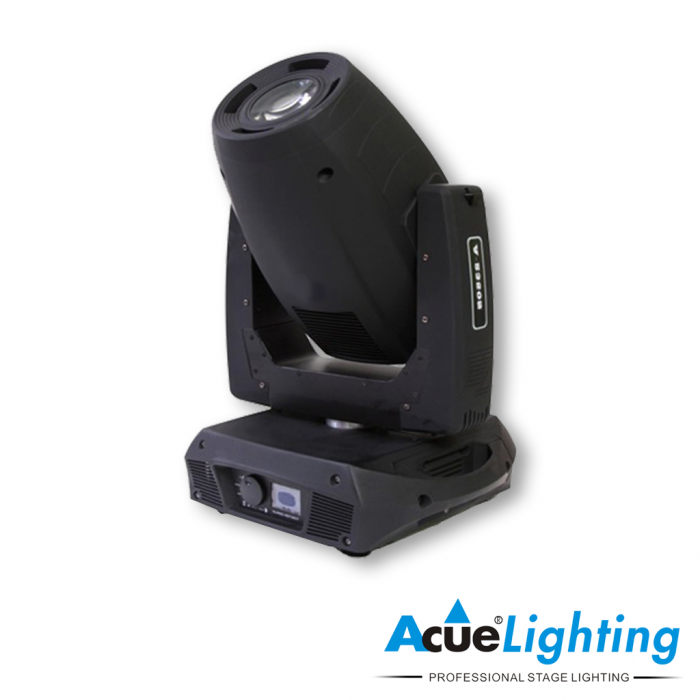 The Acue 17R Spot Hybrid Moving Head has become widely used in all large stage applications and permanent installations. 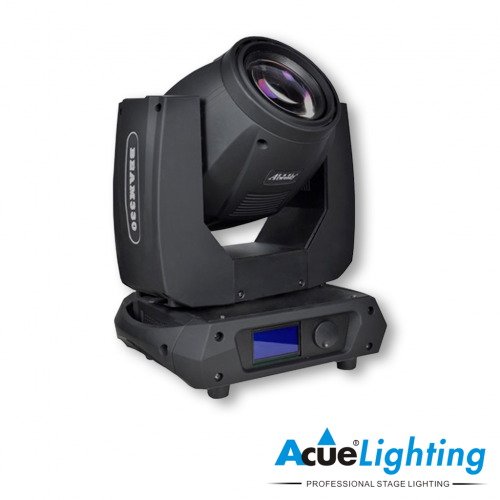 It has perfect color mixing and a very wide zoom range (7˚ – 50˚). 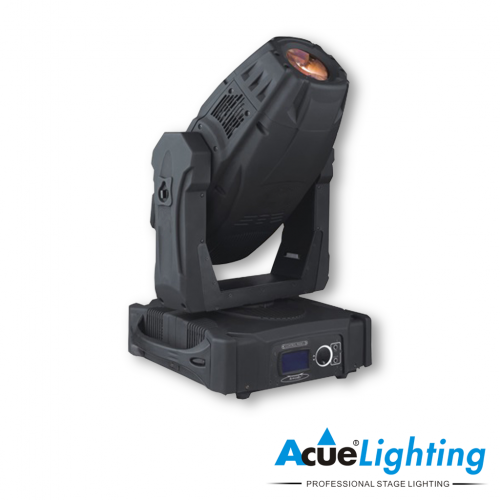 Input Voltage 110-220V AC 50/60hz Power-con power input.